Leslie Jones, one of Greg and Tammy’s friends from Colorado recently had the opportunity to visit Morton’s-The Steakhouse in New York City. Morton’s is the only restaurant in the U.S. that has the opportunity to serve Idella Wines which is otherwise exclusively sold direct-to-consumer. 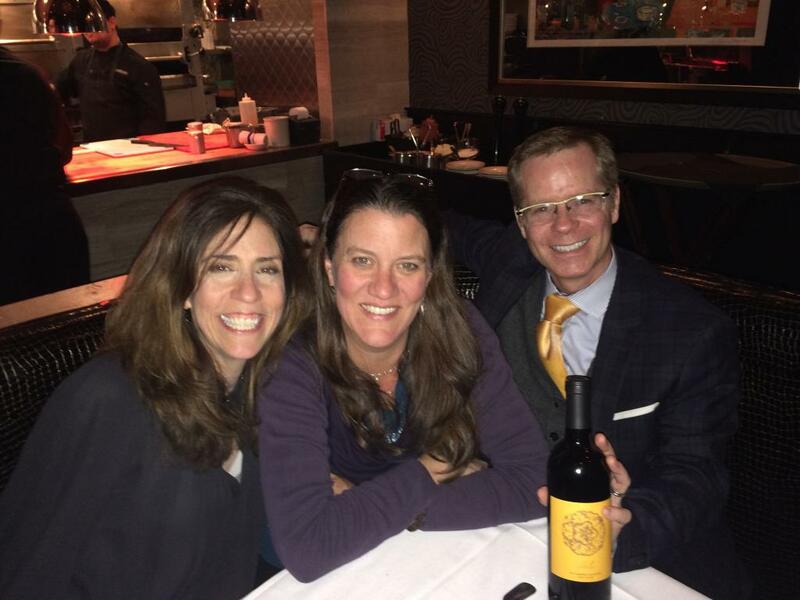 With Leslie is her good friend, Suzanne Levy and Michael Rains, Morton’s General Manager of their Park Avenue location.